Our 3,000 sq. foot home is situated on a hill overlooking the vast Pacific Ocean. There is a large deck connected to the great room, kitchen and dining area with fabulous views. There are two king size master bedrooms with own baths and one bedroom with twin beds with its own bath. 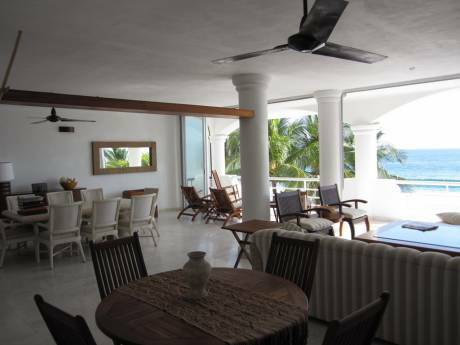 All rooms have a view and the pool is situated on the lower two bedroom level. An art studio tops the home with unending views of ocean and mountain. 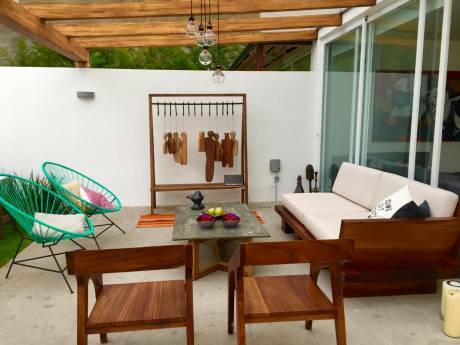 Our home is a Mexican theme with a vast collection of folk art and lots of color, the house has a large glass window wall that opens to the lovely view off the great room. Our neighborhood is quiet and private and the street is lined with colorful bougainvillea everywhere. Beaches are a two mile walk and a five minute drive. Our new kitchen is fully equipped and dream to work in. This is our paradise to share with you and I guarantee you will love it!!!! We are Annie and Doug now living full time in Mexico. Annie is from California and Doug from Cape Cod Mass. We are retired and love the life style here and all the wonderful friends we have made. We are very active in golf, tennis, beaching and Annie is also an artist and mask maker which gives her much pleasure. Doug was a boat dealer in Boston area and an ex IBM employee for many years. 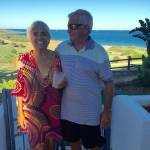 We have 8 grandchildren between us and love to visit them as often as possible. Travel is one of our passions and we try as often as possible to explore all the wonders of Mexico as well as the rest of this fascinating world. We now look forward to home exchanges as an added pleasure and adventure to our lives. 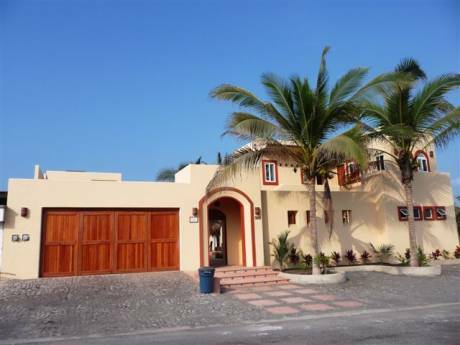 Manzanillo has an international airport and is a 15 minute drive from our home. We are the largest seaport in Mexico and the sailfish capitol of the world. Tourism is an industry here but without the hustle bustle of a big city. There are world class golf courses here within a reasonable driving distance. Isla Navidad and El Tamarindo. Not to mention the great Mexican restaurants and water activities year round, snorkling, scuba diving and deep sea fishing, horseback riding, ATV riding tours and grand zip line. There are three major super markets and a nice shopping indoor mall not far away. A great website is gomanzanillo.com for more information. There are miles of sandy beaches with warm water and balmy ocean breezes. Never crowded and always beautiful.